If there is one time in your life where you should spend the most cash, I guess it can be on your holidays. Unless you are like me and take 10 holidays a year then you kind of breaking the bank. However, if you are thinking of visiting my beautiful country Greece this year then here is a little inspiration for you. I don’t think I personally need an excuse for booking a luxury villa but some of these places are quite irresistible. Luxury surrounding you and the beautiful environment of these villas, quite a great way of holidays. Greece has some of the most amazing history, views, food and people. Despite the economic problems, the country is still beautiful and waiting for you to explore it. For those living in Europe and looking to not travel far yet enjoy luxury and privacy these villas do the trick for me. Flights from the UK are cheap and in the summer there are even deals from the US to Greece for less than $600. Perfect excuse for booking a muslim friendly holiday. 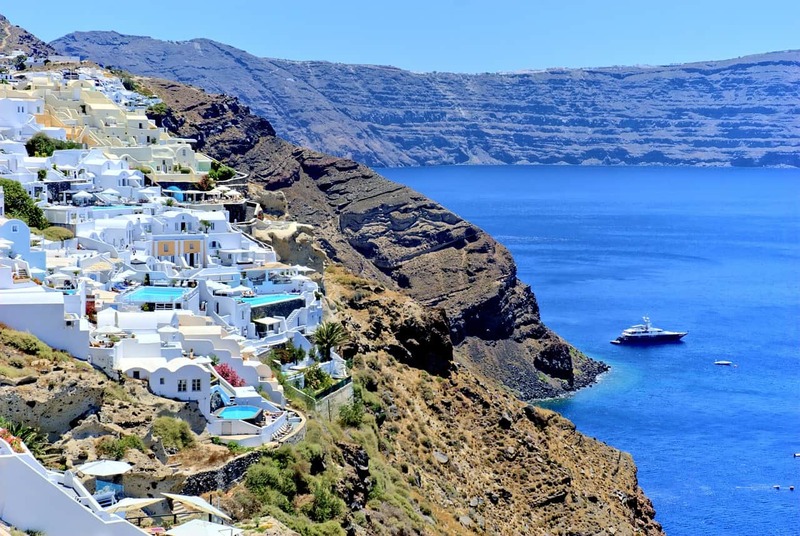 Santorini must be one of the most iconic islands in Greece, with its beautiful white houses and active volcano. It is one of the most expensive islands in Greece with thousands of tourists visiting each year. Perfect for families looking for some privacy in this villa. Close to all the activities yet private enough for a relaxing hijab free option for the females of the family. You can find more information and book the villa click here. 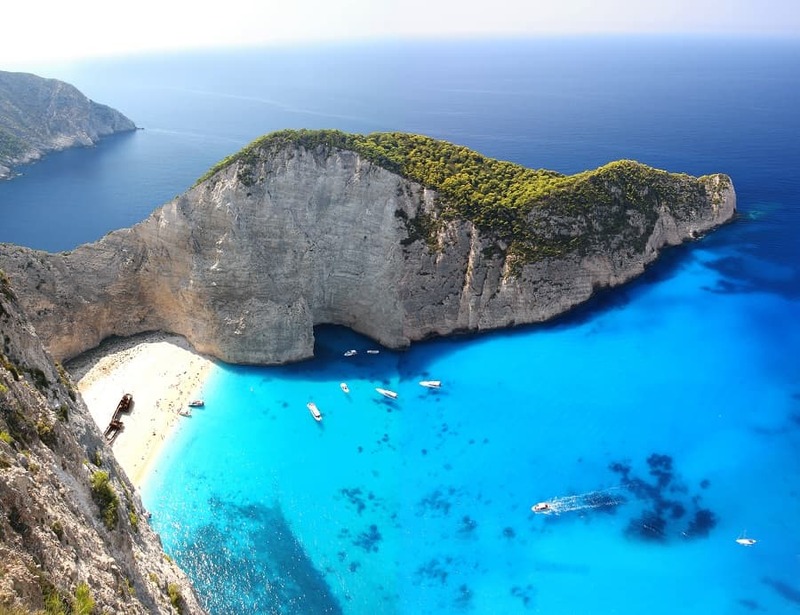 Home to the famous navagio beach, Zakynthos is a very popular tourist destination and rightfully so. With plenty of flights from the UK and Europe, beautiful beaches and food it is on top of the list of those seeking some sun. This is one amazing villa for those within its budget. Perfect for families as it can accommodate up to 10 guests.It has a private pool and it’s properly secluded with greenery. You can find more information or book the villa here. 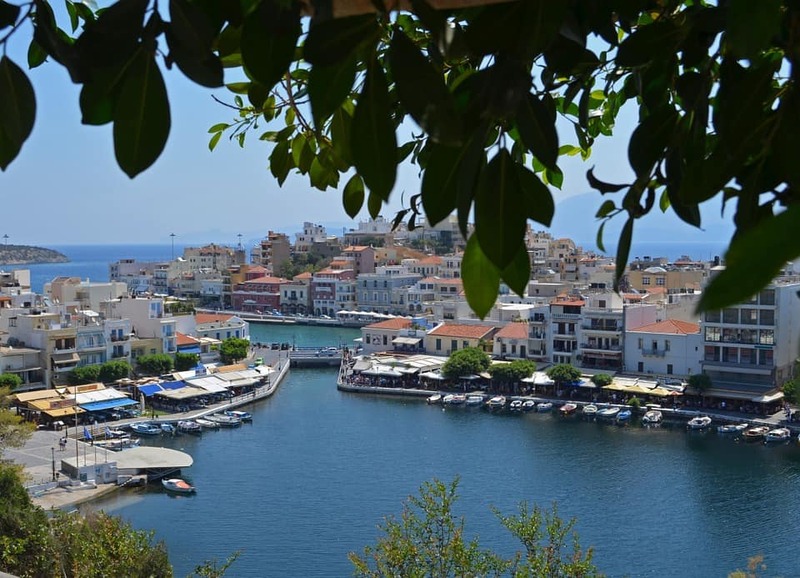 The most southern island in Greece, Crete has a distinctive beauty surrounded by olive tries and beautiful beaches. Each part of Crete is quite different and it feels like you are in a different island. This is a resort property but it has some beautiful private villas. For those who want the privacy but the conveniences of having breakfast ready and activities within the resort. You might not have heard of Paros, a small traditional island. It is very popular with Greek tourists and rightfully so in my opinion. Small and intimate this place is perfect for a few days relaxing. You can easily catch a ferry to Mykonos and Santorini from there if you want to make your own Greek Island cruise. 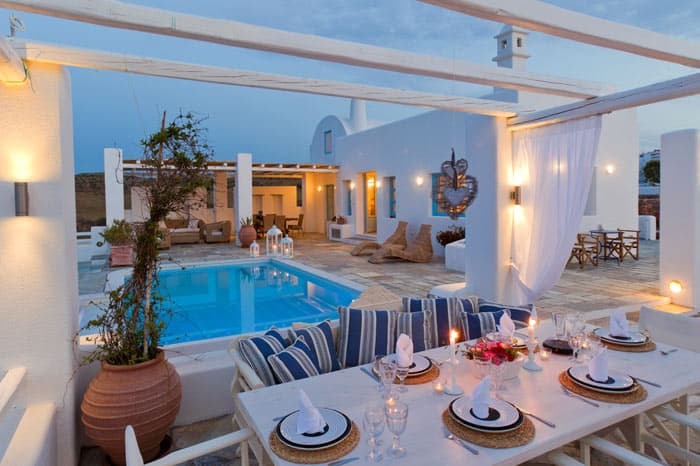 Overlooking the island, the villas have a private pool and great views. Plus there is privacy to enjoy the pool or soak up some sun. 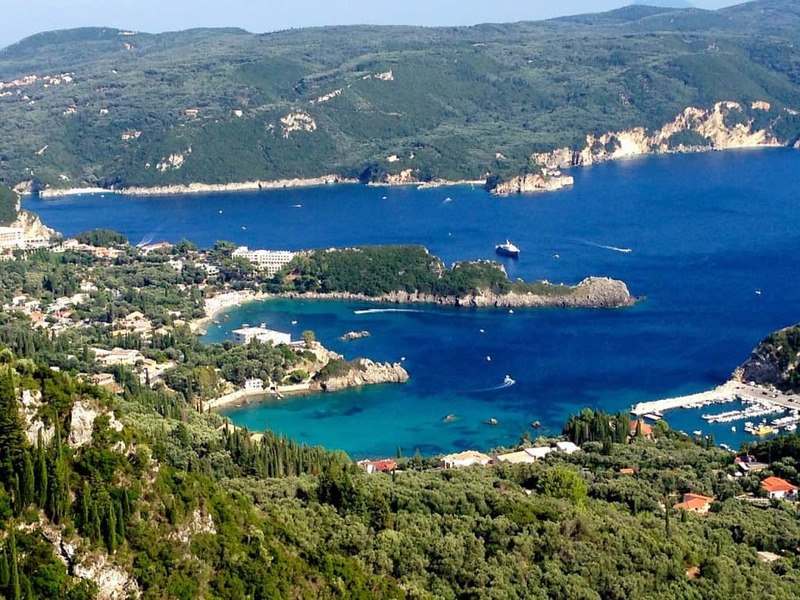 I grew up in Corfu so I am definitely biased but this island is magical. Plenty of history, great cultural influence, lovely beaches and food. Rent a bike and discover the island, it only takes 40 minutes to read the town from each side. Nested within olive trees this villa provides total privacy and luxury. Nice decor, great garden and surrounded by greenery it’s the perfect escape for a hijab free holiday. 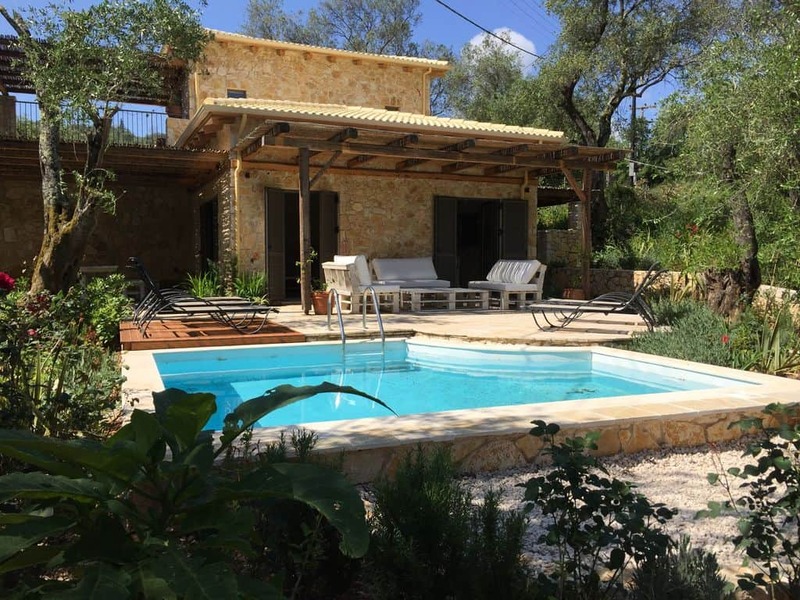 For the Villa details click here prices start from £300 per night for up to 6 people. Yes you are right. Actually im plan to visit athen and santorini. But unfortunately i received feedback that feb is not a good month for the visit as it will be cold and windy. Scenery not good too. I will cancell the visit there. Do you have any recomendation to any interesting place to visit. We are actually soending 5 days in turkey. Hope to hear from you soon. Asalamalaikum sister was wondering if you can help, we are a family of 15 people looking to travel to Greece. Preferably Athens as halal restraints and meat available there, we are looking for villa but it’s proving to be difficult. Can you be of any help? Jasakallhu kairan. Hi…I will be visiting Santorini and Athens on May 10 – 13, with my friends (3 women). I’m wearing Hijab, I’m just wondering, how do Greek people treat Muslims, or what are their sentiments toward Muslims ? Especially, considering the current conditions all over the world (Trump’s effect, immigrants, terrorism). Is it safe to go around Athens & Santorini with Hijab ? (sorry, if this is silly question, but I have to be prepared & be careful, though 🙂 ). Looking forward to hearing from you soon…. I just love your blog!! Amazing suggestions! Could you please suggest places to go for couples in Greece? I am looking for villas with a swimming pool. The villas don’t need to be huge just cosy. We would like to stay 2 nights max per city and we are thinking of staying 1 week or 10 days in the country + islands. Not sure about the month yet but looking around May or July or September. When is it the nicest in terms of temperature? Sorry, I think I missed the details of your cool budget friendly ideas for villas. Whereabouts are they? So sorry once again! And knowing that you are from greece is so good! We have plans to travel this july i shallah, tell me something, we have two toddlers, and travel becomes a little slow with them, so are 3 days in athens n 3 in santorini enough to explore them? Have across your blog by chance and it is very helpful!! so thank you. I am stuck between visiting Cyprus or Rhodes in July with my husband and two little girl. Is there any activities and places you can recommend and whether you recommend visiting Rhodes! Thank you, look forward to your reply. Right so for me the best choice if you are looking for Islamic perspective is Rhodes due to the history it has. It is a lovely island there is a mosque and a halal restaurant. Cyprus is beautiful too but you don’t mention which part the Greek or the Turkish one you want to visit. We were looking at North Cyprus, so turkish (I think). I am being told Rhodes are not too welcoming to muslims…. and the same in South Cyprus too? which is why looking at north cyprus. Rhodes is my forst choice as i have been wanting to visit for a while now.